Sunriver is known as Utah's only active adult Golf Course Community. 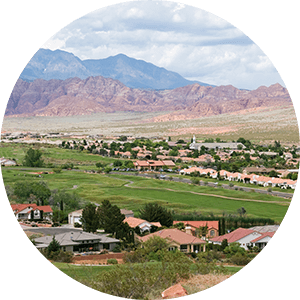 Located in St George, Utah, SunRiver is a 55+ community welcoming residents looking to live a more active lifestyle enjoying the beauty and nature offered in Southern Utah. SunRiver is proud to offer its residents with a wide access to facilities including a 35,000 square foot community center, pickleball courts, tennis courts, and the SunRiver Golf Course. There are also restaurants, trails, swimming, basketball courts, walking paths, art's opportunities and more. More residential and commercial growth continues to happen at Sunriver. The subdivision has now added additional villa communities for new residents. 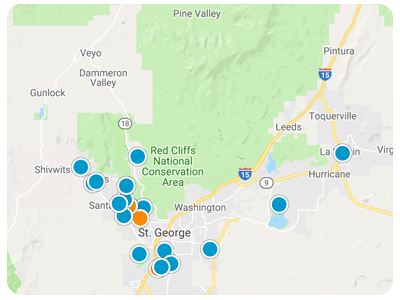 SunRiver St. George is easily accessed by interstate 15. It sits along the southwestern side of St George. 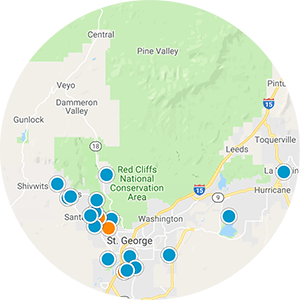 Residents and visitors can take advantage of the St. George amenities including restaurants, lodging, entertainment and shopping, as well as other Southern Utah treasures like Snow Canyon State Park and nearby Zion National Park.